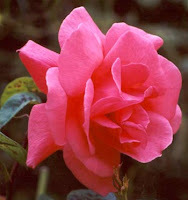 Saturday, June 18 at 11:00 a.m.
Have you heard that roses are fussy and hard to grow? Rose specialist Michael Sarowsky, from the Master Gardener's Program of the Cape Cod Cooperative Extension of Barnstable County, separates fact from fiction. He'll provide the best tips for growing Tea, Grandiflora, Floribunda, Shrub, Climbing, and Rambling roses in our Cape Cod environment. Take advantage of his expertise to get these fragrant beauties flourishing!